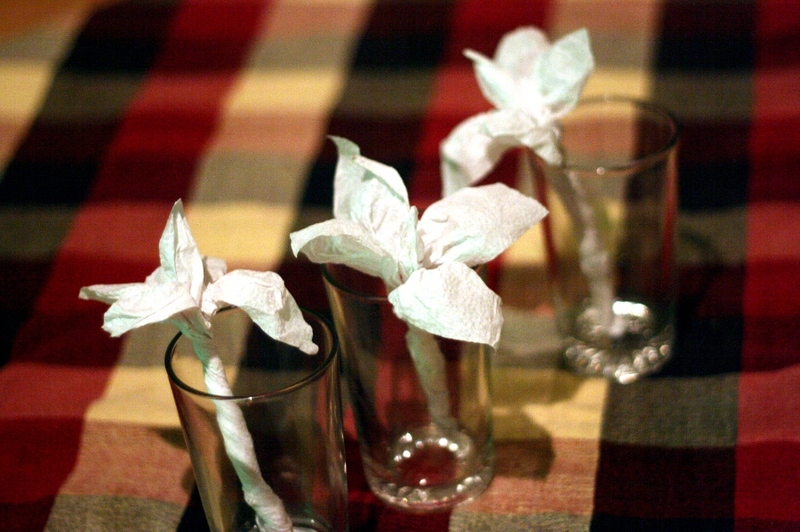 HERE IS ONE WAY NAPKINS WERE folded like flowers at the Forest Green Restaurant in Syhlet, Bangladesh. 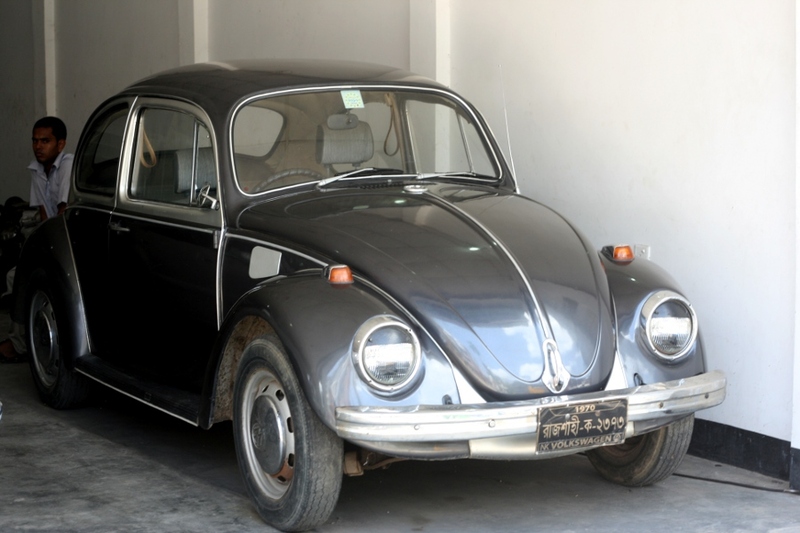 I SAW THIS VW BUG IN SYHLET, BANGLADESH WHICH brought back many memories of my teenage years. This was a very popular vehicle in America in the 60s. 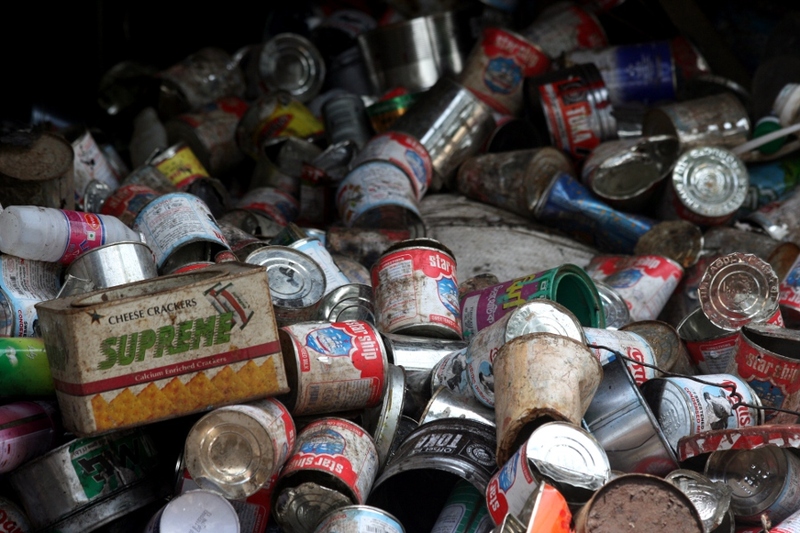 PILE OF METAL CANS FOR RECYCLING IN Syhlet, Bangladesh. There was a man who was very poor, he could not afford anything. His business was poor. Despite all he would feed hungry birds, with scraps of food left over. And because the birds were so hungry and so grateful, they would thank the man for giving them food. 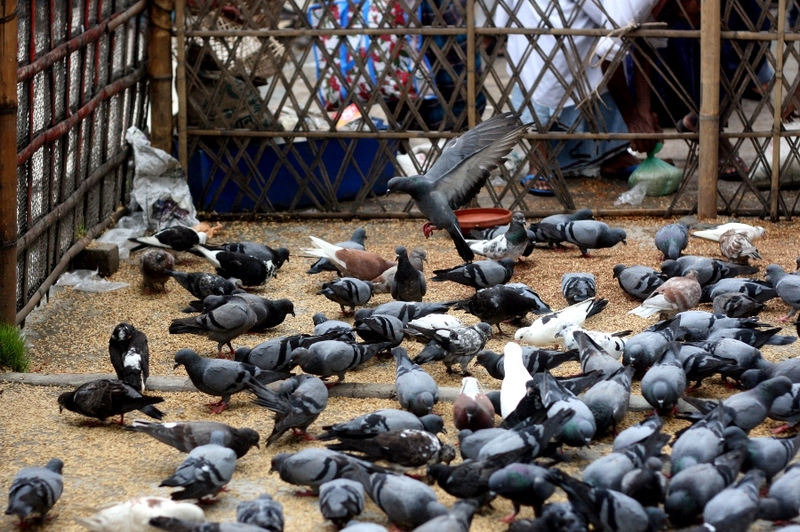 And so in re-turn the birds prayed to Allah over and over again that the man would become richer! and luckier. Allah heard the birds prayers and slowly the man became richer and richer with strokes of luck! And his business was extremely successfull!! 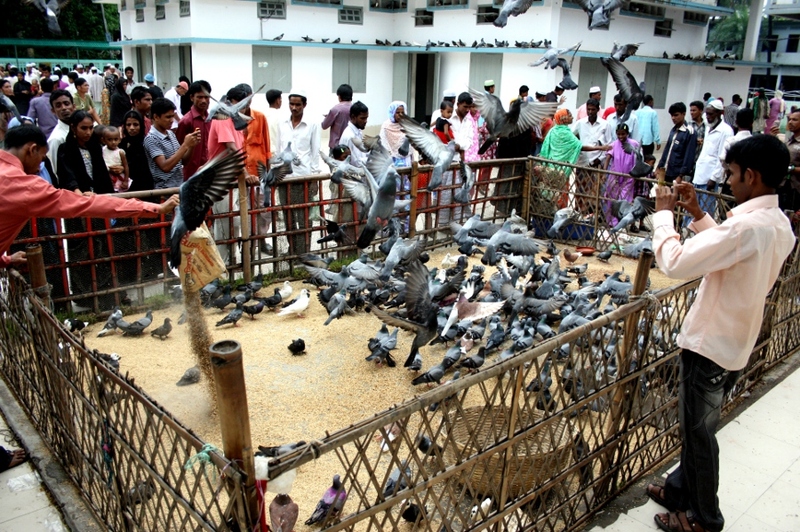 Lots of grain for lots of pigeons! HERE I AM AT WORK EITHER checking e-mail or sorting photos. 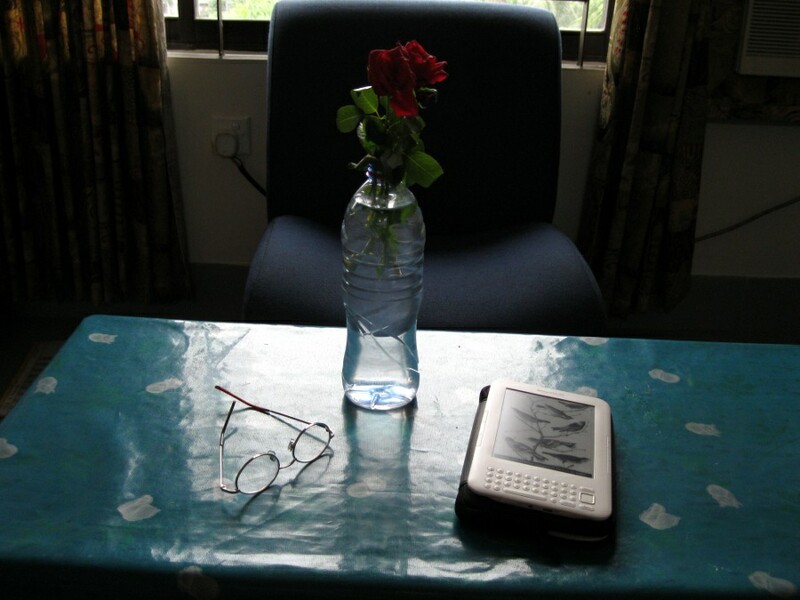 This is in the dining room of the Cherrapungee Holiday Resort. Alice did get her point-and-shoot and did shooting on this trip. It’s one way to get my photo on the blog! 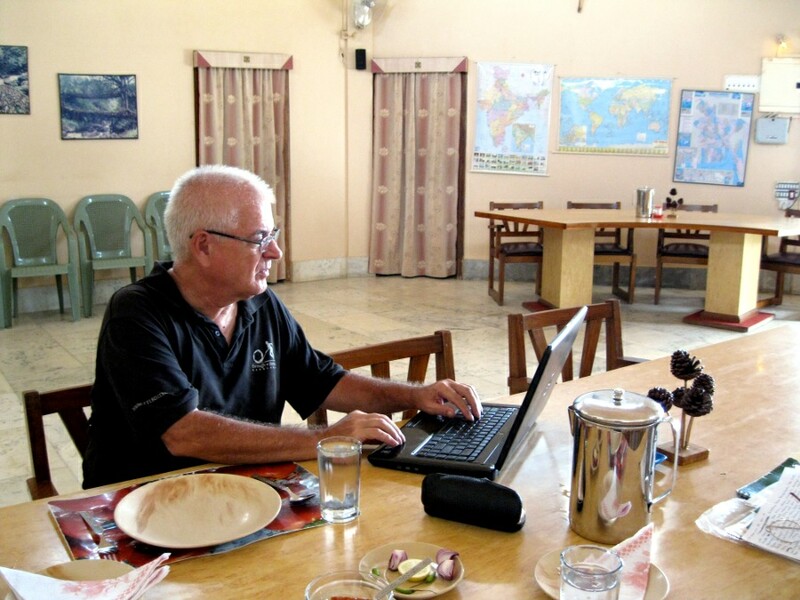 We actually checked out and headed back to our Hotel in Syhlet, Bamgladesh yesterday morning. 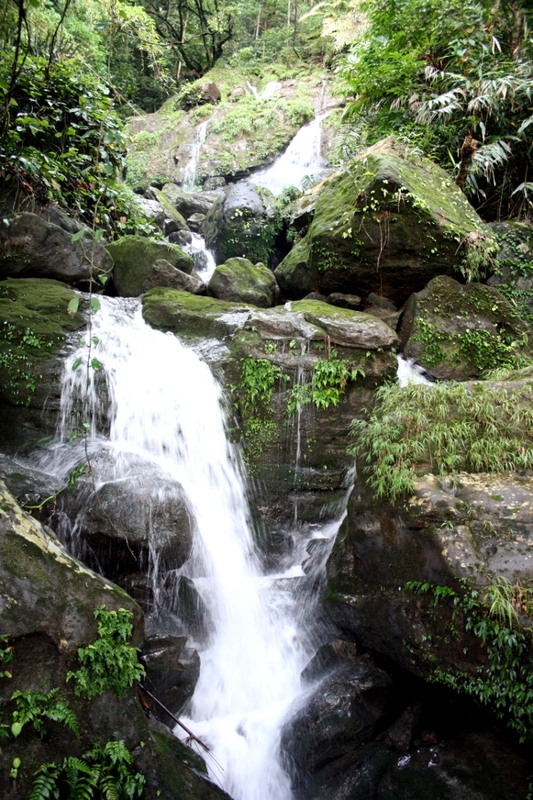 ONE OF THE MANY WATERFALLS near Cherapungee Hotel Resort in the Khasi Hills region of Meghalaya District of India. ALICE AT THE “FOREST GREEN RESTAURANT” in the Hotel Dallas building. 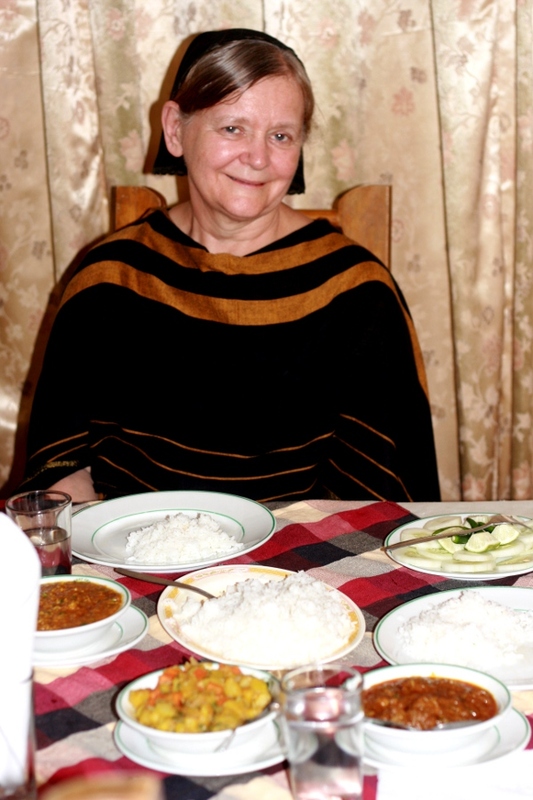 Alice’s one favorite was mug dhal. There is also vegetable curry and beef curry for this meal. 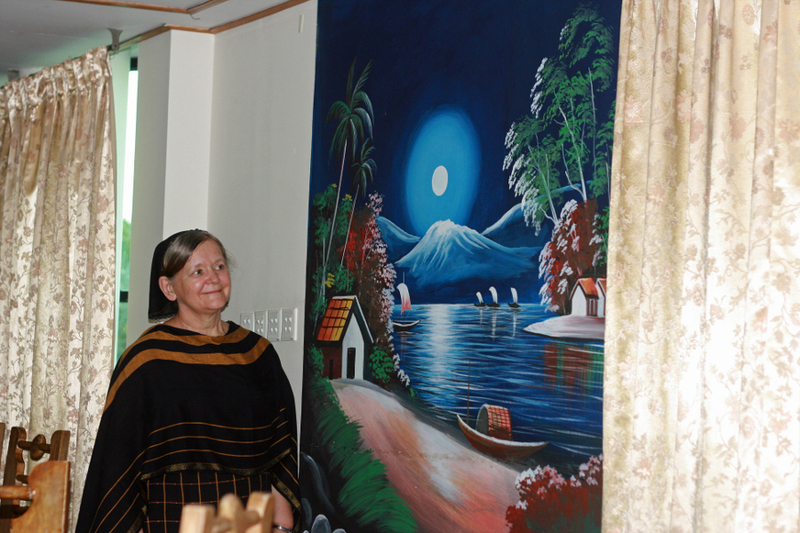 ALICE IN THE FOREST GREEN RESTAURANT of the Hotel Dallas beside a Bengali scene mural on the wall. 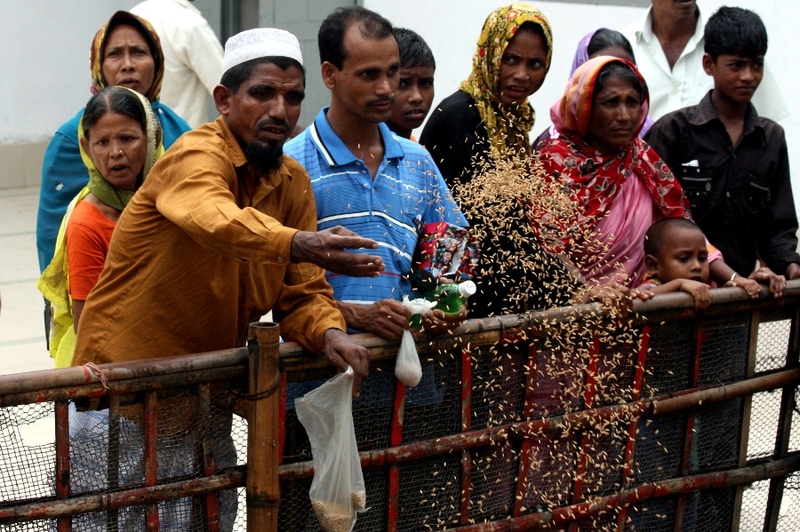 TWO YOUNG BENGALIS WHO wanted their photo taken in Syhlet. HAPPY BIRTHDAY MY SWEET WIFE! Here she is having her birthday breakfast. 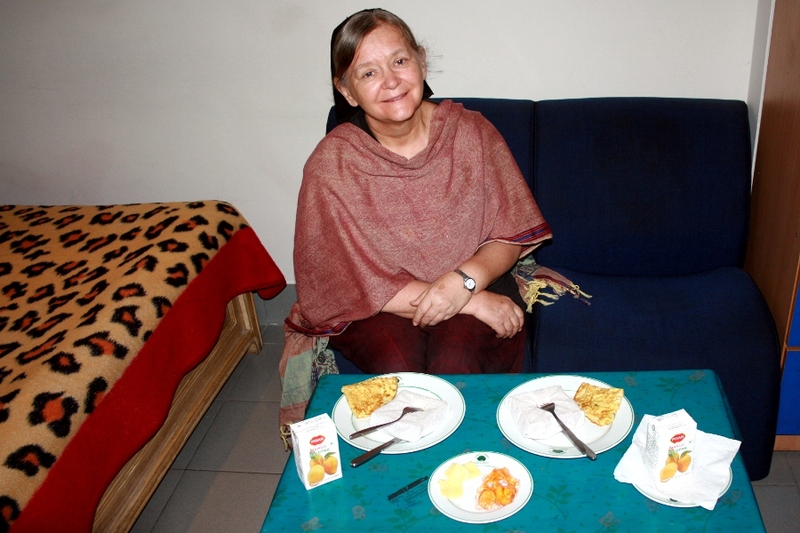 Mango juice, omelet, toast, butter, jelly, and coffee or tea. On this trip she has sure been enjoying the Kindle her friends gave her for an appreciation gift.